Do I have to watch ALL of SDF macross to understand "Do You Remember Love"? Because it's just becoming a bit of a slog to get through. You don't have to watch anything to understand DYRL. That said, SFD Macross is a great show, so you should try giving it a couple more episodes. How would anyone recommend it? Nobody watched it yet. Still, it's from director of When Marnie was There, and that movie was quite good. So yeah, there's a good chance it's a good movie. Have you watched the director's previous movies? ^Since it came out in Japan a bit ago I thought one or two users may have seen it. But yea, I've seen When Marnie was There(in theatres no less). It was pretty dope. Didn't realize it was by the same dude, I thought it was some other Ghibli guy for some reason. Haven't watched Arrietty yet. I'll probably end up seeing the witch movie. If y'all could help me figure out which show to watch, I'd really appreciate it! 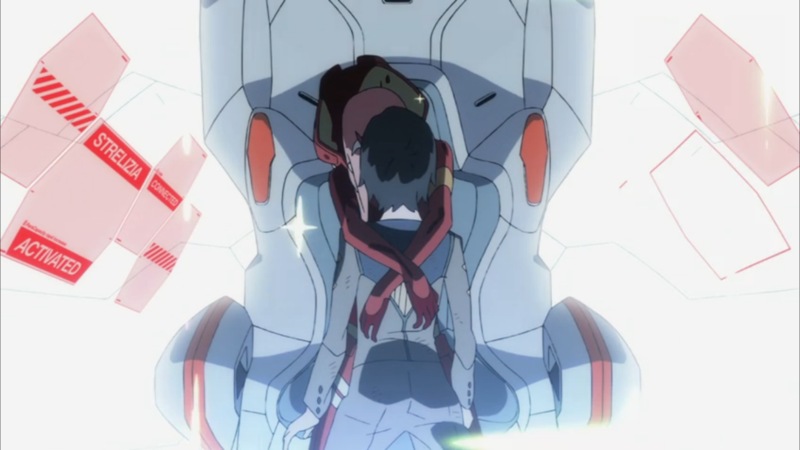 Is anyone here watching Darling in The FranXX? I've heard it's getting good reviews but I haven't been able to watch it myself yet. 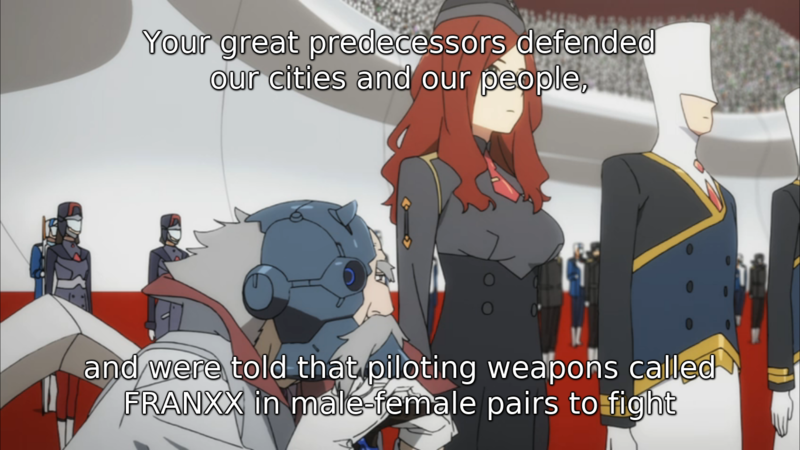 Ray wrote: Is anyone here watching Darling in The FranXX? I've heard it's getting good reviews but I haven't been able to watch it myself yet. There are many nods to other Gainax shows in it. When the students are assembled before the white robe people, there are strong Kill La Kill vibes. Papa and the others remind me of Gargoyle from Nadia, which is a Gainax show. The artstyle is unmistakably Trigger, but the animation (except in the last few minutes) is quite inferior to their other shows I've seen. The round thing (plant?) 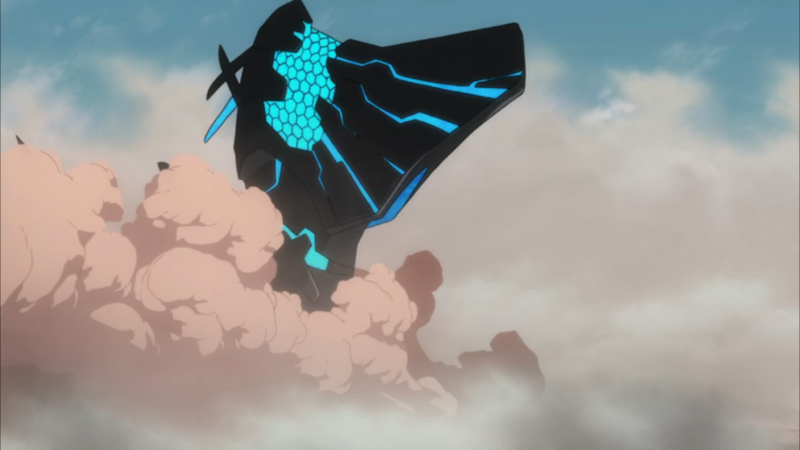 falling in the rocks his highly reminiscent of the breaking through the ceiling in the first ep of TTGL. There are also hexes with warnings, which is an Eva reference. 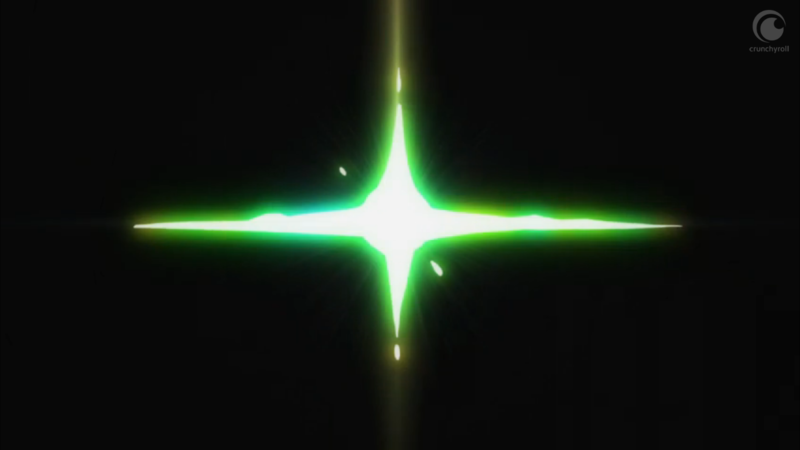 Cross-blinking, which is a KLK reference. Still, it's a completely different animal from their previous shows. It's ok... nothing special. I may continue. Idk. 7/10 so far. Its a good show so far, only 2 episodes as of right now. But with all the blatant sexual references it might not be for you Ray..But hey it's the closest thing we got to to Eva right now. In terms of how I am feeling about watching Zeta Gundam, so far I have seen the first seven episodes in Japanese subbed form but I feel like I am just wasting time with that method because none of the voices stick out in my head, it's basically my same situation with Cowboy Bebop dubbed but backwards. Now I feel like going back to square one with Zeta and listen to it in it's English version, is that advisable? I strongly recommend "Ping Pong". Even more so, if you don't like sport animes. I was very excited for violet evergarden, but now that it's done people keep complaining it was bad. Was it really not good? Stan wrote: Was it really not good? It depends what you want out of a series. VEG generated a lot of visually lush .webm excerpts on /a/, though with some complaints about the excessive use of filters in the early episodes. By all accounts, the source LN seems to have been bad fanfic tier writing, the anime improvising around around it with original material more than just adapting, picking out short sentimental stand-alone episodes, and down-playing some of the more "out there" parts of Violet's wartime back-story. I didn't manage to watch more than 7 Minutes of Violet Evergarden. The MC is a bland Ayanami-clone, the tone is sappier than cheaply produced afternoon-telenovelas and the visual execution is just overkill. Definitely not for me. I so hope, one of these days Kyo-ani decides to adapt something with good source material. Do you mind if I recommend non Anime films as well? May I ask if this is a case of fans over-hyping themselves and letting their imaginations of "what it could be" lead to disappointment? Even though its more a parody series than anything else, Dragon Ball Z Abridged really is a work of art and I would wholeheartedly recommend it to anyone looking for a laugh, or any kind of DB content. The way they've changed things in the series (like making Goku the literal idiot many of us think he is) really make the series better. They've finished everything through the Cell Saga, the first eight movies, the two Bardock specials, the History of Trunks, and the Plan to Eradicate the Super Sayians.